Hacks every college student needs to know! Want to ace your next exam? Claim victory as a beer pong champ? Remove that gross stain from your shirt before your interview? 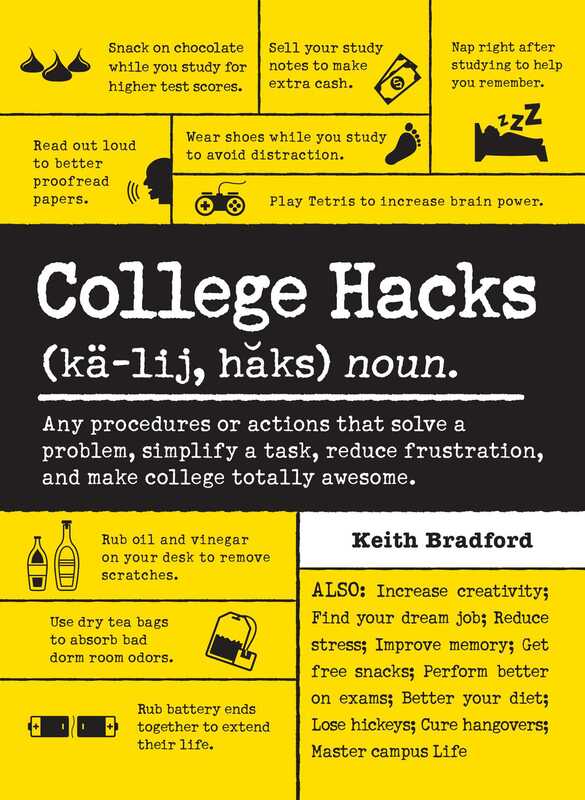 College Hacks gives you the tricks and tips you need to get ahead in life without breaking a sweat. Filled with hundreds of ways to simplify nearly every college situation, this guide tells you just what to do when your professor assigns you a twenty-page paper or you run out of clean dishes in your dorm room (chip bag bowl, anyone?). So stop making college harder than it should be! With these everyday hacks, you'll breeze through each semester as you finish assignments and tasks quicker than ever before!